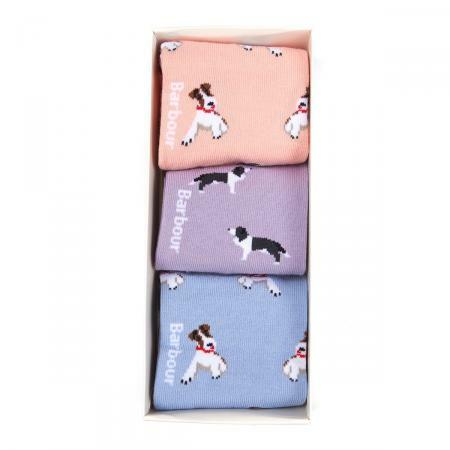 Barbour Mixed Dog Sock Selection. Three pairs of socks created in a stretch cotton blend, each featuring a playful dog motif and finished with a jacquard-knit Barbour logo. Presented in a branded box for effortless gifting to your loved ones. Fabric: 78% Cotton 21% Polyamide 1% Elastane. Machine wash at 30 degrees.SALE!